I don't know why it took me so long to notice the eerie resonance between names of the landmark Supreme Court cases on institutional racism and the watershed event of Mike Brown's execution in Ferguson, Missouri. Last night at a book group of girls and women a teacher handed out some background on the two historic rulings, and seeing the words in print finally jogged my brain into making the connection. Plessy v. Ferguson established the odious concept of "separate but equal" public facilities being constitutional in 1896, beginning with a ruling by Judge Ferguson of the Criminal District Court of New Orleans, the Louisiana Supreme Court and SCOTUS following suit. 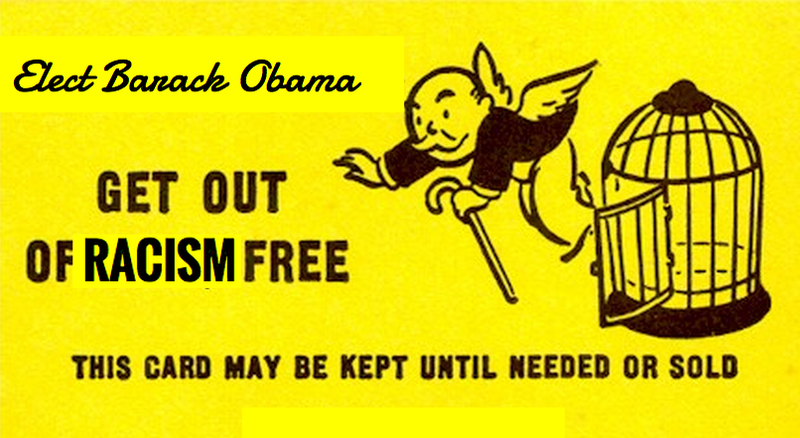 Jim Crow segregation laws, lynching and suppression of voting rights were in full swing. Mr. Plessy had tried to sit in a train car reserved for white privilege and had been arrested. Brown v. Board of Education of Topeka, Kansas overturned the legal basis of segregation in public schools in 1954. The SCOTUS ruled that "separate but equal" in education was a denial of equal protection under the law as guaranteed by the 14th Amendment. Oliver Brown was a father who brought suit on behalf of his daughter, Linda Brown, who had to commute a long way to her segregated school because the local school was reserved for white privilege. Now for years to come students will learn about the turning point in U.S. race relations that Mike Brown and Ferguson, Missouri have come to represent. Mike Brown was far from the first young man of color to be executed with impunity by a white policeman. Why should that particular wrongful death become the tipping point? It could be because his body was left lying in the street, riddled with bullets, in view of his family home. That act of cruelty and disrespect has sparked outrage and various protests to highlight the fact. On Saturday, November 29, 2014, days after the Grand Jury Decision, Knox College Women’s Basketball Player Ariyana Smith bravely held a one woman demonstration at the Knox College v. Fontbonne University game held in Clayton, MO. During the singing of the national anthem, Ariyana walked with her hands up towards the American flag and fell to the ground for a full 4.5 minutes to bring awareness to the inhumane killing of Michael Brown in which his body was left to lay on a neighborhood street for 4.5 hours. It could be because the Grand Jury that failed to indict Officer Darren Wilson to stand trial for Brown's death was conducted with such blatant bias and such poor application of due process. It's far from the first time that has happened, either. Maybe the outrage that just won't stop is a sign of the times. Times in which neoliberals (e.g. presidental wannabe Hillary Clinton, who has said exactly nothing about the travesty of justice in Ferguson) are soundly trounced in midterm elections because liberal voters in vast numbers were too disillusioned to go to the polls. But here's a theory: maybe Mike Brown's emblematic death became a watershed moment in the U.S. precisely because words matter, and they resonate deep in our unconscious where memories, fears and guilt roil. Now and for the future, we will remember Ferguson and we will remember Brown. 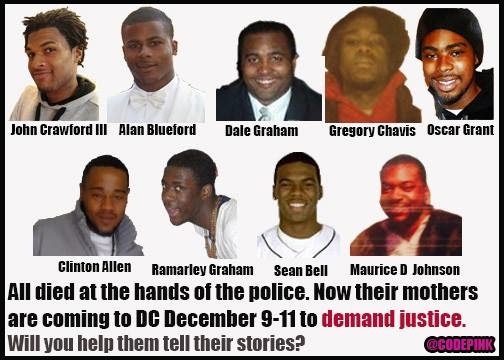 Help get moms of young men of color who have been killed by the police to Washington DC on December 10 to confront lawmakers. Donate to support their trip.